It has been a while since we have seen a product with this much excitement around it, and we’re happy to say that it is officially available for all to enjoy. 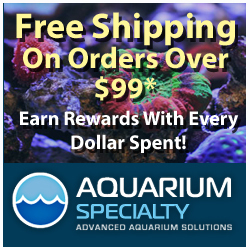 Maxspect has been showing off this revolutionary water pump for what seems like forever (it debuted back in May) and even though it was sent out to a limited number of testers months ago, the product will now be able to be put thorough the rigorous testing of the ever demanding aquarist. The Maxspect Gyre will initially launch in the XF150 model priced at $299. This model has a maximum flow rate of 5000gph at 50watts, and is suitable for a wide range of aquariums that span 50-800+ gallons. The Gyre mounts via magnets to either glass or acrylic, with the mounts capable of holding on tanks up to 3/4″ thick. XF130: 30-35w (not yet finalized), to be available in December. So, what’s so special about the Maxspect Gyre? Well, it’s the first device specifically designed to create a gyre-type water movement in the aquarium. 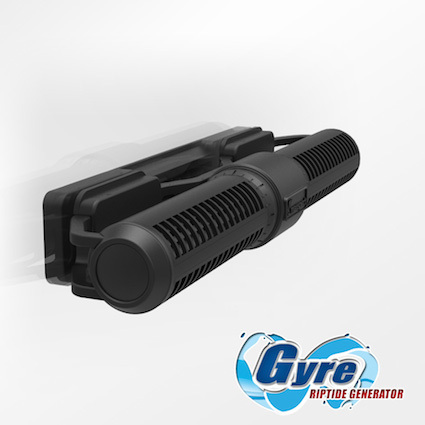 While gyres can be created with other pumps depending on how they’re oriented in the aquarium, the Maxspect pump specializes in it. Gyres are arguably the most effective way to move water within the aquarium, as they create massive amounts of flow that not only reinforces itself, but also keeps a ton of detritus suspended in the water column. 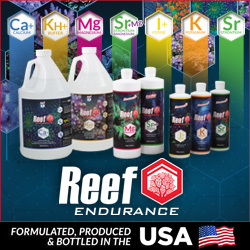 The motion creates drastic movement both horizontally and vertically, and its the choice type of water flow for many large-scale coral growers. To put it more succinctly, it’s a really effective type of water flow and it can be yours at a relatively inexpensive price point. So, hit up your favorite retailer to get your hands on one today.